McLean County Libertarian Party chair Bennett Morris, left, and vice chair Christopher Howick. For Christopher Howick of Bloomington, it’s even worse. Howick is running for the Illinois House in 2018, the seat currently held by state Rep. Keith Sommer, R-Morton. But because Howick is a Libertarian—not a legally established party statewide—he must collect a minimum of 2,500 signatures to get on the ballot, five times as many as Sommer and Democratic challenger Jill Blair. It’s hypocritical for Democrats to complain about electoral fairness—you may have heard Trump didn’t win the popular vote—or Republicans to worry about voter fraud, Howick said. “To me what is the biggest fraud and the biggest unfairness is that we have to jump through hoops, obstacles, all over the place, simply to give people an extra choice on the ballot,” Howick said. "You absolutely have no chance if you don't get on the ballot." 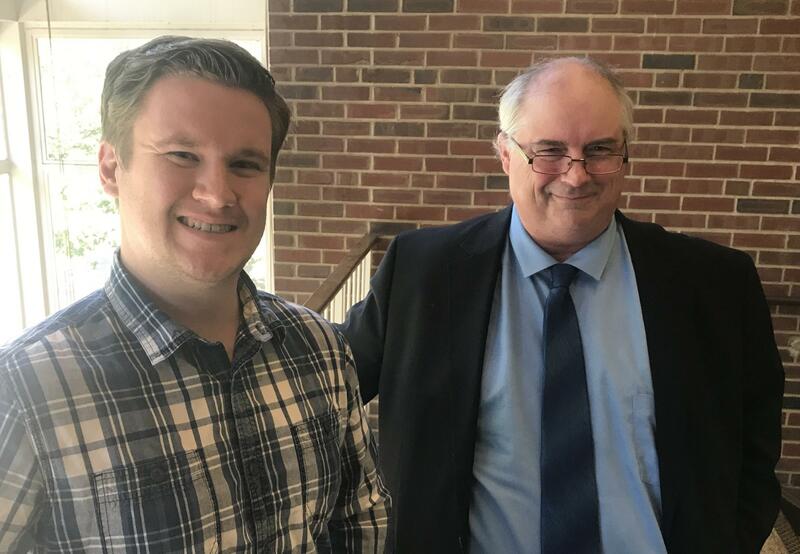 The issue of ballot access has new urgency in McLean County, as local Libertarians try to make some noise and inroads against the two-party system. 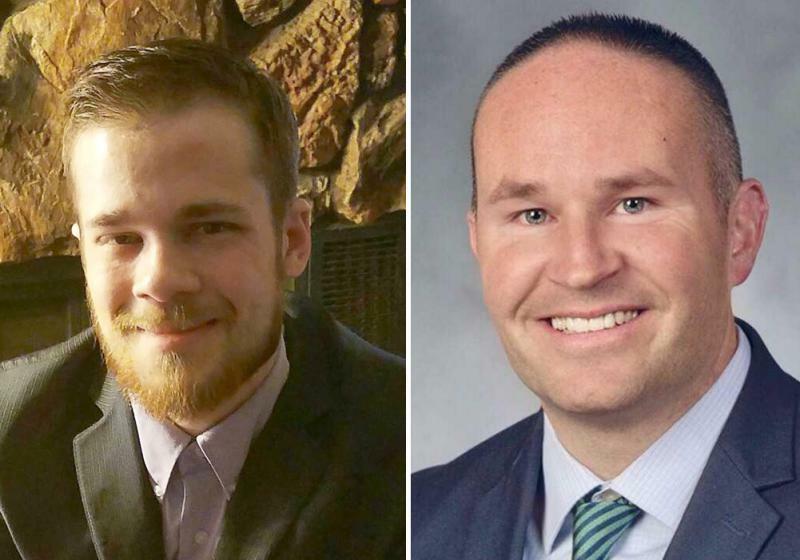 Libertarians mounted a run—unsuccessfully—last spring in the surprisingly contested Normal Township race. And now local Libertarians like Howick are making runs for McLean County Board and the Illinois House. It’s a similar story statewide, with three Libertarians mounting runs for governor. Libertarian Party of Illinois chairman Lex Green lives in Bloomington-Normal. Libertarians cheered last month after winning an appellate court victory on the so-called “full slate requirement.” That rule, which was invalidated by a lower court, required lesser-known political parties to mount candidates for all offices in the area where they want to compete—something that even Democrats and Republicans can rarely do. An appellate court upheld the previous ruling. That still leaves the fight over signature requirements. Illinois tends to be “very hostile” to the so-called “minor” parties—anything other than a Democrat or Republican—according to Kerri Milita, an assistant professor in the Department of Politics and Government at Illinois State University. “It’s one of the more restrictive states in the country for how tough they make it for non-major parties to get on the ballot,” said Milita, an expert in direct democracy and election laws. What’s the reason for that? Ostensibly, Democratic and Republican lawmakers want to keep frivolous candidates from cluttering up the ballot, said Ron Michaelson, the former director of the Illinois State Board of Elections. If there were an overwhelming number of candidates, the thinking goes, then a voter might decide to abstain from actually voting in that race. For anyone who’s ever voted in McLean County, that rings a bit false. It’s common to see several uncontested races—a lack of choice, not too much choice. One of the reasons Howick says he decided to run is because 62 percent of Illinois’ legislative seats went unchallenged last election. “The real reason (for the higher signature requirements) is to protect their duopoly,” Milita said of Democrats and Republicans. The question then becomes, how high do you set the bar for signatures? After all, Howick’s minimum of 2,500 signatures is really more like 5,000, to protect himself in case his political opponents successfully challenge any of his signatures. It’s a buffer. For a Libertarian to successfully get on the ballot statewide to run for governor, he or she would need to collect 25,000 signatures. Republicans and Democrats only need 5,000. “Some people in Illinois suggest the bar is indeed set too high,” Michaelson said. Bennett Morris of Bloomington is one of them. He’s the chair of the McLean County Libertarian Party and he’s running in 2018 for McLean County Board in District 7, which includes parts of central and east Bloomington. The seat is currently held by Republican Ryan Scritchlow. Morris’ signature requirements aren’t too cumbersome. He only needs three of them. That’s only because Libertarian candidates got more than 5 percent of the vote in the last election, making it an established party in McLean County. 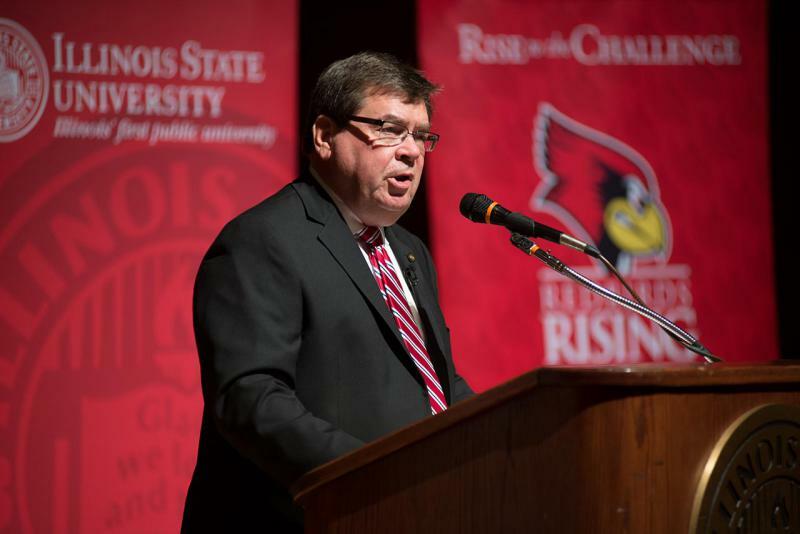 “That’s why it’s extremely important for people who are frustrated with the two old parties who’ve ruined our state and country that they come out and vote for candidates based on their positions on the issues, and based on their principles,” Morris said. But does it matter? If Libertarians get on the ballot across the board, will they actually win? Milita, the ISU professor, once researched how less-established parties performed in states with more generous ballot placement laws than Illinois. That includes states like Vermont, where independent and Green Party candidates are more commonly seen on the ballot. That research found it doesn’t really make a difference on who wins. It’s still a good place to start, Morris said. Looser requirements would allow the Libertarian Party of Illinois to spend less time and money collecting signatures—and more time and money on messaging. “You absolutely have no chance if you don’t get on the ballot,” Morris said.